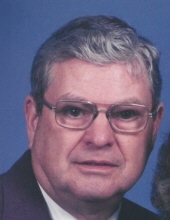 Robert Elbridge Hopkins, 88, of Martinsville, VA passed away Saturday, November 24, 2018. He was born on October 21, 1930 in Woolwine, VA to the late Walter Thomas Dudley Hopkins and Rosa Hubbard Hopkins. In addition to his parents, he was preceded in death by his wife, Barbara Jean Edwards Hopkins; siblings, Amos, Paul, John, and Nora Belle. Mr. Hopkins was a member of McCabe Memorial Baptist Church. He graduated from Stuart High School, served in the U.S. Air Force, and retired from E.I. DuPont. He is survived by his daughter, Deborah Jean Hopkins; son, Robert “Hop” Hopkins and wife, Rhonda; grandchildren, Ryan Hopkins and Dustin Hussey and wife, Sara; great-grandchild, Harper Hussey; and sisters, Laura Edwards, Margaret Ray, Ruby Barnard, and Mildred Dodson. A graveside service will be held at 2 p.m. on Thursday, November 29, 2018 at Roselawn Burial Park with Dr. G.H. Vaughan officiating. Norris Funeral Services, Inc. and Crematory of Martinsville, VA is serving the Hopkins family. To send flowers or a remembrance gift to the family of Robert Elbridge Hopkins, please visit our Tribute Store. "Email Address" would like to share the life celebration of Robert Elbridge Hopkins. Click on the "link" to go to share a favorite memory or leave a condolence message for the family.